Kai is the Hawaiian word for Sea Water. The Kai sculptural series embody the environment and the life forms of Hawaii’s vast ocean. 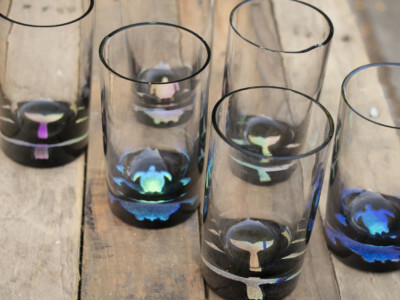 Ryan Staub hones in on the fluid nature of hot glass, blurring the line between animal and environment, realizing distinct and recognizable forms while maintaining the illusion of water in suspended-animation. 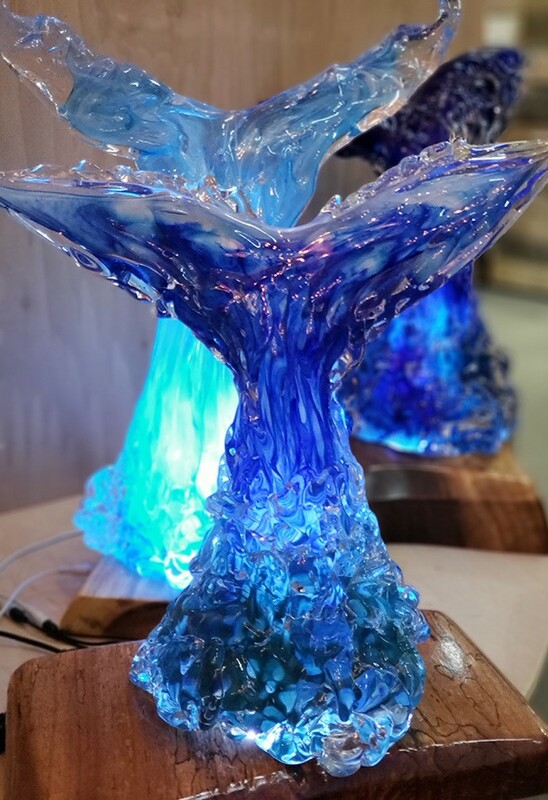 These contemporary hand blown glass sculptures focus on the majestic animals that find a home in the crystal blue waters of Hawaii, Honu (turtles) and Kohola (whales.) 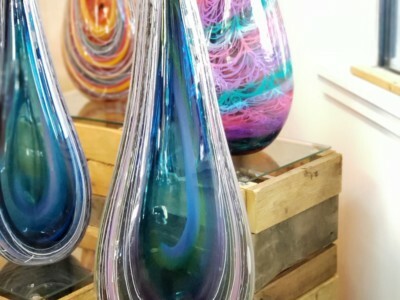 The process of making these pieces is gruelingly long in the glass studio and requires a large team due to the weight and need for extra torches to keep this tremendous amount of glass hot. 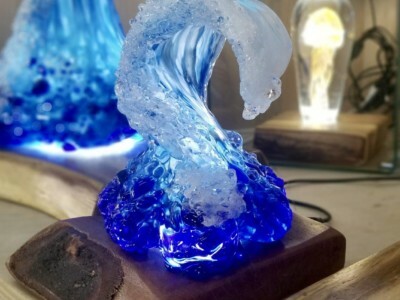 A thick bubble of glass is first blown, then hot globs are added to it, again and again, building up mass and thickness, while being sculpted to appear as the water itself. Once the general shape and surface are achieved, Staub and his team begin the sculpting process, transforming a watery looking blob into a piece of fine art. More glass is added for detail and hours are spent perfecting the shape and illusion of movement to be frozen forever in glass. After hours of relentless hot work, the piece anneals for days. Then comes the hard part. 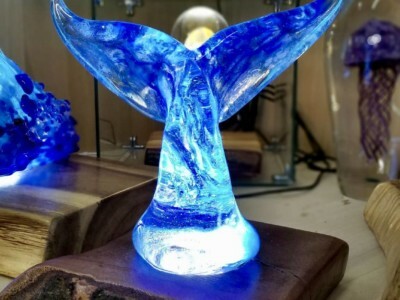 The sculpting process requires that there is some excess glass left on the piece. This must be expertly removed with masterful hands on diamond grinding and polishing machines to leave no trace and appear as though the excess was never there. Finally, Staub uses his artistic eye to find the position best suited for capturing the animal in its most magnificent splendor and instructs his team on how to mount it. 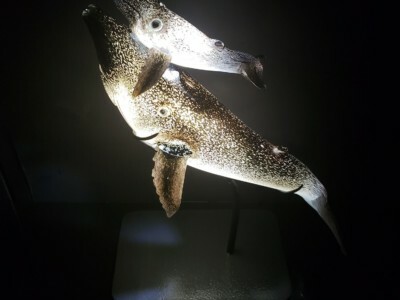 Internal illumination brings out colors and depth that would be unnoticeable any other way, completing the illusion of the animal made of seawater.